Today's update contents are as follows. We will be releasing a new type of warding for you to challenge, and additional new content before we begin our next big update! We are introducing the Purgatorium Wardings in this update! This time we will be releasing the Assault! Infernal Gargoyle -Purgatorium- Warding for one week! These Purgatarium dungeons will be limited-time only, but we will release them at different times. In the Purgatorium Wardings, you can find Purgatorium Treasures in addition to the items that normally drop! - These wardings will last for one week only. - The enemy's element resistance will be raised, and attacks that do not target the enemy's weak element will not do much damage. In addition to this, the enemy's physical attack power will be greatly strengthened. - If you receive a B Rank or higher, you have a chance to receive Purgatorium Treasures. - If you manage to clear this dungeon on Hell Difficulty, it is possible to obtain rare and powerful Magatama. - You can exchange Purgatorium Treasures for various items through the NPC Purgatorium Exchange Rokudo. 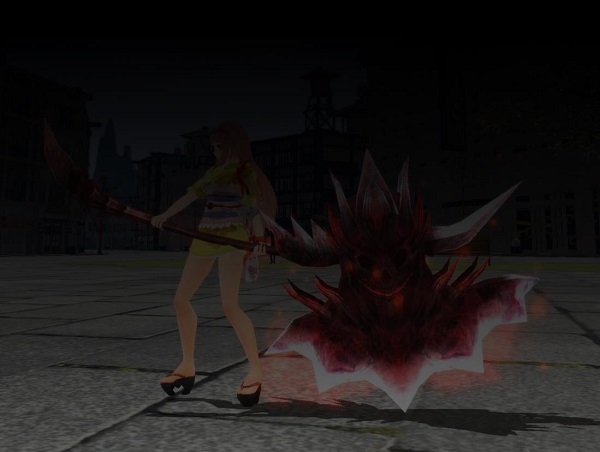 - The Purgatorium Exchange Rokudo NPC will only appear while the Purgatory dungeons are active. The item exchange lineup will change depending on what warding is currently active. - Purgatorium Treasures that are not exchanged during the time that the Purgatorium dungeon is active will turn into Junk, but this item can be exchanged for Purgatorium Treasures when the next Purgatorium Dungeon is active. - Also available: Skill Card Set Rain & Water V - VII and new Hell Flame Magatama! In addition to the above items you can exchange for other various items. Be sure to check them out! At this time, these materials cannot be used, but in a future update they can be used to forge new weapons and Magatama! Please be sure to hang onto them! During the this time, the following dungeons will have their energy cost reduced, and the drop rate will be increased by 100%! By collecting materials in this dungeon, you can forge the Infernal Gargoyle weapons! Be sure to challenge these dungeons! We will be introducing Limited Magatama Nyankoropon in this update! - Unit 1: Lancelot, Kintoki, and Makami + a Platinum Gacha Ticket in the platinum tier, and the Monsoon Magatama (with a Thunder Storm Cloud Fragment or Gold Nugget) in the gold tier. - Can be spun with an SP Gacha Ticket and/or free OC or purchased OC. Unit 1 (Limited Magatama Nyankoropon): Contains the same lineup as listed above, but the Platinum Tier has its win rate increased, and comes with a Yorozu Limited Ticket. The Gold Tier is also the same, but comes with a Yorozu Limited Ticket instead of the materials listed above. Unit 2 (Limited Spin Magatama Nyankoropon): Contains everything listed above, but is discounted to only 120 OC for 5 spins for the first 25 spins! Please note that you cannot spin either of these Nyankoropon with a Gacha Ticket--you can only spin them with OC! As requested by many users, we have added Inuchiyo - Broken Seal Swimsuit Outfit Change to the Yorozu Exchange! By using this outfit change scroll, you will unlock Inuchiyo - Broken Seal's special skill "Smashing Serve"! *This scroll will be available until November 5th at 11pm PDT before maintenance begins. We will be hosting a Purgatory OC Campaign from 10/23 - 11/19! Please click the link for more info! - All Articles of Awakening have had their descriptions correctly updated. They are only supposed to raise your partner level by one instead of the max amount. We apologize for the confusion! 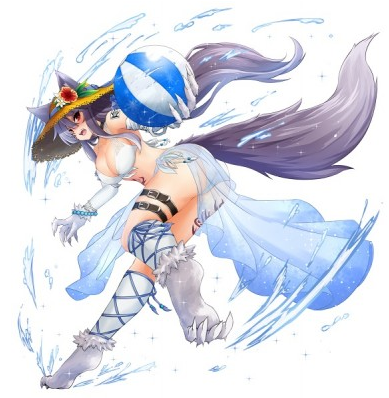 - We have sent a compensation package to players (as promised) for the initial delay with the summer festival. It contains Gacha Tickets and various boosts! Please check your present box to receive it, and remember that you can only accept it on one character per account. - The Summer Festival event has been closed. All players who last logged off in the Festival Grounds will be transported to Onigashima when the login next. - The Genbu Achievements have now ended, but Ibaraki's item exchange will still be open for one more additional week. Please note that the Sunset Gacha has ended, so we advise you not to buy any Sunset Gcha Tickets. - All Sunset Gacha Tickets, Premium Gacha Tickets, SP Gacha Tickets, and related fragments have been deleted. Please see our campaign above if you would like to obtain more to spin the Nyankoropon!